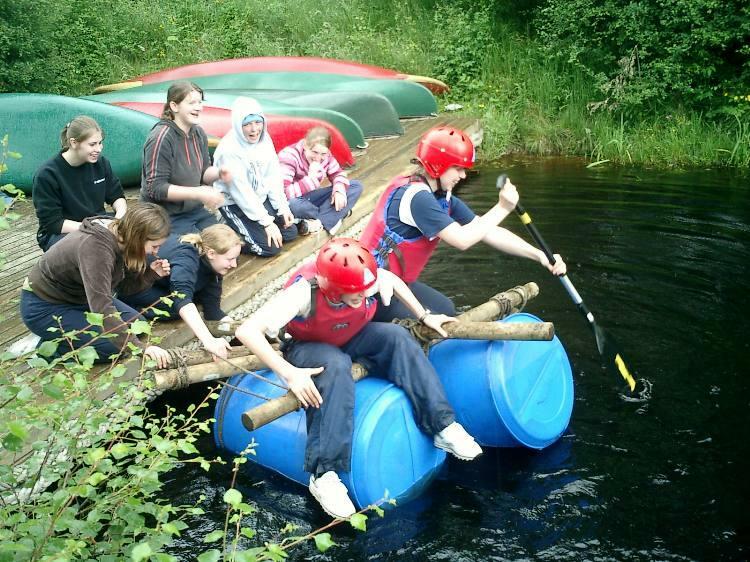 RYLA is a week’s stay at Abernethy Outdoor Centre, Nethybridge, paid for by Banchory Rotary. The object of RYLA is to develop your own leadership qualities through team working, to give you a sense of pride in achievement, to have a week of active outdoor activity – and to have FUN. There are two camps: Girls from 7th to 14th July 2018, and Boys from 14th to 21st July. You’ll need to be in the age range 16 -18 at the start of your camp. If you are successful in your application to join RYLA, and come prepared to put your best into all you do during your stay, there is no doubt that at the end of the week you will have enjoyed the experience of a lifetime. For RYLA participants are divided into groups, usually eight per group with a mentor to look after their welfare. The groups compete against each other in all the various activities with leadership and teamwork being the main objectives. Each of the candidates is given the opportunity to act as the leader of the group during the week. Activities cover such things as Canoeing, Hill Walking and Map Reading, Mountain Bike Cross Country Riding, Rock Climbing and Gorge Walking. There are also evening presentations and discussions on leadership. Each camp has around 75 participants from all over north Scotland. You need to be quick off the mark – RYLA courses are almost always over-subscribed, particularly for girls. Talk to your parents too, so they’re on side when you apply. We will sponsor just one boy and one girl and choose by interview in January. Interested? Contact Banchory Rotary at ken_lennox@btinternet.com, or phone me on 01330 824424 for more info. The Rotary Youth Leadership Awards are designed to develop the leadership skills of young people with potential. This nurtures the skills of the future leaders of our community and helps those who may need some further encouragement to exploit their leadership skills. The course takes place at the Abernethy Trust, Nethy Bridge at the end of June - beginning of July. Instruction is given by the staff of the Abernethy Trust who are fully qualified in all areas covered. Volunteer Rotarians act as Councillors during each of the week sessions.